Filalet, Khrystofor. Pen name of an unknown author of a major anti-Uniate polemical work (see Polemical literature), Apokrisis. 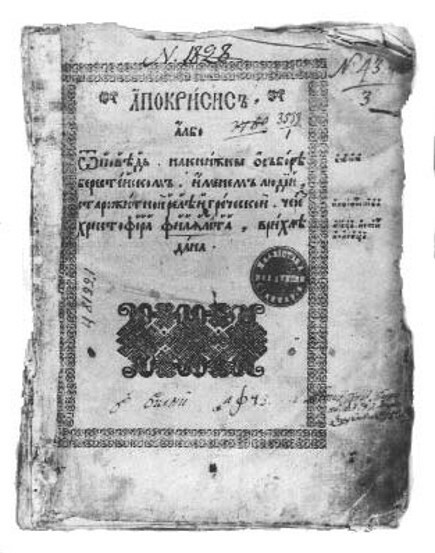 The first edition, in Polish, was published in 1597, and a Ukrainian edition appeared in Ostrih in 1598. P. Yaremenko's study of it appeared in Lviv in 1964. Some scholars attribute authorship to M. Broniewski.